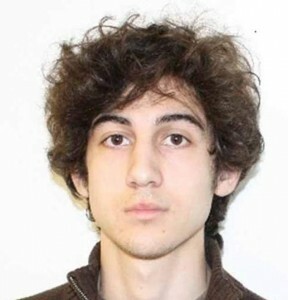 Boston Marathon Suspect Dzhokhar Tsarnaev is running his mouth. The New York Daily News reports that Tsarnaev made a “statement of to his detriment” while his sister was visiting him in prison. Federal prosecutors didn’t reveal what Tsarnaev said but objected to his attorneys trying to suppress the statement. The FBI was monitoring the visit from his sister. “Despite the presence of an FBI agent and an employee of the Federal Public Defender, was unable to temper his remarks and made a statement to his detriment which was overheard by the agent,” reads a memo from government attorneys. Posted: 3/3/14 at 9:52 AM under News Story.